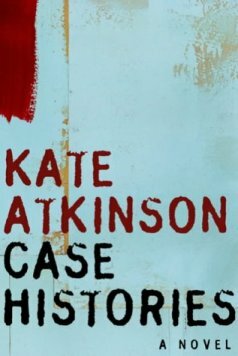 Kate Atkinson has written a great character in Jackson Brodie. I made the mistake of reading the four novels out of sequence. I wish there were somewhere in all the lists that I’ve seen where someone said “Read this one First” or something like that. Here, I will tell you which one to read first – Case Histories. In it you will learn about all the women that Jackson Brodie will get to know and you will recognize in novels to come. The author weaves the stories past and present into a work of art. There is at the core of the book the mystery of how three separate police cases over the course of thirty years can possibly be related. Rough-around-the-edges Jackson Brodie will put all the pieces together and it makes perfect sense. They say no good deed goes unpunished and Kate Atkinson had a field day with what that means in One Good Turn. In it, Jackson Brodie is once more the receiver of bumps and bruises while only trying to HELP. Every character in the novel who tries to do something good gets in trouble in huge ways. With flying death-dealing dogs, a drowned girl who gets away, and a laptop computer as a weapon what else can I say? Then on to When Will There Be Good News. This is the novel I read first. It didn’t hurt to do that except I would have enjoyed it much more if I’d read it third. In this novel a little girl named Joanna is walking in the country with her mother, sister and baby brother. A strange encounter turns her life inside out. Thirty years pass. Jackson Brodie is riding a train home until his ride ends dramatically. Little Reggie is a girl who is resourceful and full of life. All these people’s lives are on a collision course that seems so convoluted that you can’t imagine this is a work of fiction. These kinds of chance encounters happen in real-life. Sometimes we live to recover. After reading When Will There Be Good News, I realized that I’d seen the movie. It isn’t called that but I can’t recall what the name of it is. Lastly, Started Early, Took My Dog. In it the most unlikely thing is that Jackson gets a dog. It is so hilariously tragic in how he does it. After the last book and what happened to Jackson I couldn’t imagine that he would get beat up in this one but of course what would these books be like if he didn’t. However, he does get out of the altercation with less bruises this time. Of course his reputation doesn’t recover quite so quickly. There is a couple of tragedies in the character’s histories that make them do what they do – like stealing the girl. I especially loved the old woman who gets more and more muddled as the days pass. I kept thinking that she would be the spoiler. I kept hoping she would not be the spoiler. The way the book is written with one story weaving into another, and past and present and future all being melded into the strange quandary of what makes real life the way it is – brilliant. So don’t get ahead of yourself like I did and read the books out-of-order. You’ll thank me for it. Previous PostRainy Day FundayNext PostWhat Makes Suspense Work?